"Super Nintendo" redirects here. For the under construction Nintendo-themed area in Universal Studios Japan, see Super Nintendo World. The Super Nintendo Entertainment System (SNES),[b] also known as the Super NES[c] or Super Nintendo,[d] is a 16-bit home video game console developed by Nintendo that was released in 1990 in Japan and South Korea, 1991 in North America, 1992 in Europe and Australasia (Oceania), and 1993 in South America. In Japan, the system is called the Super Famicom (SFC). [e] In South Korea, it is known as the Super Comboy[f] and was distributed by Hyundai Electronics. 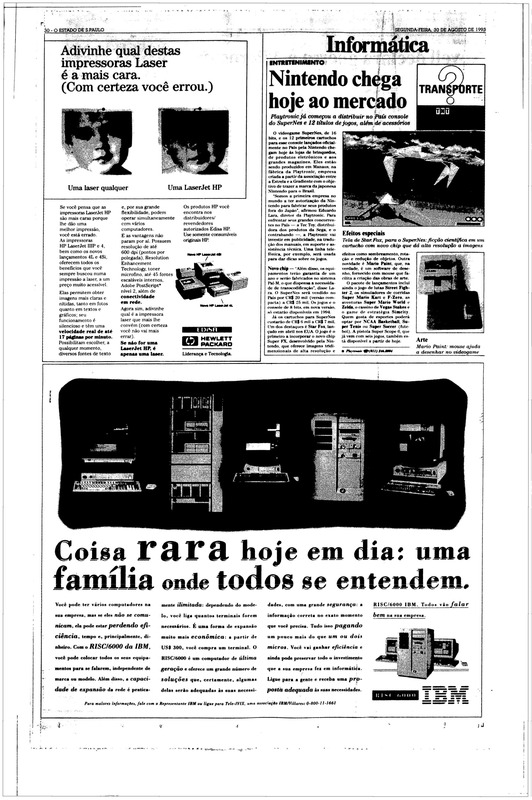 The system was released in Brazil on August 30, 1993, by Playtronic. Although each version is essentially the same, several forms of regional lockout prevent the different versions from being compatible with one another. The SNES is Nintendo's second programmable home console, following the Nintendo Entertainment System (NES). The console introduced advanced graphics and sound capabilities compared with other systems at the time. The development of a variety of enhancement chips integrated in game cartridges helped to keep it competitive in the marketplace. The SNES was a global success, becoming the best-selling console of the 16-bit era despite its relatively late start and the intense competition it faced in North America and Europe from Sega's Genesis console. The SNES remained popular well into the 32-bit era having sold 49.1 million worldwide by the time it was discontinued in 2003. (Comparative to the NES's 61.9 million). It continues to be popular among collectors and retro gamers, some of whom still make homebrew ROM images, in addition to its popularity in Nintendo's emulated rereleases, such as on the Virtual Console and the Super NES Classic Edition. 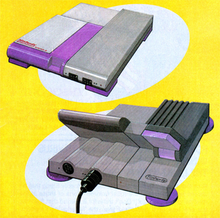 Early concept designs for the SNES, referred to as the "Nintendo Entertainment System 2"
To compete with the popular Family Computer in Japan, NEC Home Electronics launched the PC Engine in 1987, and Sega followed suit with the Mega Drive in 1988. The two platforms were later launched in North America in 1989 as the TurboGrafx-16 and the Sega Genesis, respectively. Both systems were built on 16-bit architectures and offered improved graphics and sound over the 8-bit NES. However, it took several years for Sega's system to become successful. Nintendo executives were in no rush to design a new system, but they reconsidered when they began to see their dominance in the market slipping. The four-color Super Famicom mark (left) is part of the Super NES logo in the PAL and JP regions. The colors correspond to those of the ABXY buttons of the control pad in those regions. A different logo was used for the North American version (right), consisting of a striped background outlining four oval shapes. Designed by Masayuki Uemura, the designer of the original Famicom, the Super Famicom was released in Japan on Wednesday, November 21, 1990 for 25,000 yen (equivalent to 26,240 yen in 2013). It was an instant success; Nintendo's initial shipment of 300,000 units sold out within hours, and the resulting social disturbance led the Japanese government to ask video game manufacturers to schedule future console releases on weekends. The system's release also gained the attention of the Yakuza, leading to a decision to ship the devices at night to avoid robbery. With the Super Famicom quickly outselling its rivals, Nintendo reasserted itself as the leader of the Japanese console market. Nintendo's success was partially due to the retention of most of its key third-party developers, including Capcom, Konami, Tecmo, Square, Koei, and Enix. Nintendo released the Super Nintendo Entertainment System, a redesigned version of the Super Famicom, in North America for $199 (equivalent to $366 in 2018). It began shipping in limited quantities on August 23, 1991,[a] with an official nationwide release date of September 9, 1991. The SNES was released in the United Kingdom and Ireland in April 1992 for £150 (equivalent to £305 in 2018), with a German release following a few weeks later. Most of the PAL region versions of the console use the Japanese Super Famicom design, except for labeling and the length of the joypad leads. The Playtronic Super NES in Brazil, although PAL-M, uses the North American design. Both the NES and SNES were released in Brazil in 1993 by Playtronic, a joint venture between the toy company Estrela and consumer electronics company Gradiente. The SNES and Super Famicom launched with few games, but these games were well received in the marketplace. In Japan, only two games were initially available: Super Mario World and F-Zero. (A third game, Bombuzal, was released during the launch week.) In North America, Super Mario World launched as a bundle with the console; other launch games included F-Zero, Pilotwings (both of which demonstrated the console's "Mode 7" pseudo-3D rendering capability), ']]. The rivalry between Nintendo and Sega resulted in what has been described as one of the most notable console wars in video game history, in which Sega positioned the Genesis as the "cool" console, with games aimed at older audiences, and advertisements that occasionally attacked the competition. Nintendo however, scored an early public relations advantage by securing the first console conversion of Capcom's arcade classic Street Fighter II for SNES, which took over a year to make the transition to the Genesis. Despite the Genesis's head start, much larger library of games, and lower price point, the Genesis only represented an estimated 60% of the American 16-bit console market in June 1992, and neither console could maintain a definitive lead for several years. Donkey Kong Country is said to have helped establish the SNES's market prominence in the latter years of the 16-bit generation, and for a time, maintain against the PlayStation and Saturn. According to Nintendo, the company had sold more than 20 million SNES units in the U.S. According to a 2014 Wedbush Securities report based on NPD sales data, the SNES ultimately outsold the Genesis in the U.S. market. During the NES era, Nintendo maintained exclusive control over games released for the system—the company had to approve every game, each third-party developer could only release up to five games per year (but some third parties got around this by using different names, for example Konami's "Ultra Games" brand), those games could not be released on another console within two years, and Nintendo was the exclusive manufacturer and supplier of NES cartridges. 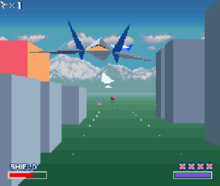 However, competition from Sega's console brought an end to this practice; in 1991, Acclaim began releasing games for both platforms, with most of Nintendo's other licensees following suit over the next several years; Capcom (which licensed some games to Sega instead of producing them directly) and Square were the most notable holdouts. Nintendo continued to carefully review submitted games, scoring them on a 40-point scale and allocating marketing resources accordingly. Each region performed separate evaluations. Nintendo of America also maintained a policy that, among other things, limited the amount of violence in the games on its systems. One game, Mortal Kombat, challenged this policy. A surprise hit in arcades in 1992, Mortal Kombat features splashes of blood and finishing moves that often depict one character dismembering the other. Because the Genesis version retained the gore while the SNES version did not, it outsold the SNES version by a ratio of nearly three-to-one. Game players were not the only ones to notice the violence in this game; U.S. Senators Herb Kohl and Joe Lieberman convened a Congressional hearing on December 9, 1993, to investigate the marketing of violent video games to children. [g] While Nintendo took the high ground with moderate success, the hearings led to the creation of the Interactive Digital Software Association and the Entertainment Software Rating Board, and the inclusion of ratings on all video games. With these ratings in place, Nintendo decided its censorship policies were no longer needed. While other companies were moving on to 32-bit systems, Rare and Nintendo proved that the SNES was still a strong contender in the market. In November 1994, Rare released Donkey Kong Country, a platform game featuring 3D models and textures pre-rendered on SGI workstations. With its detailed graphics, fluid animation and high-quality music, Donkey Kong Country rivaled the aesthetic quality of games that were being released on newer 32-bit CD-based consoles. In the last 45 days of 1994, the game sold 6.1 million units, making it the fastest-selling video game in history to that date. This game sent a message that early 32-bit systems had little to offer over the SNES, and helped make way for the more advanced consoles on the horizon. According to TRSTS reports, two of the top five best-selling games in the U.S. for December 1996 were Super NES games. In October 1997, Nintendo released a redesigned model of the SNES (the SNS-101 model referred to as "New-Style Super NES") in North America for US$99, with some units including the pack-in game Super Mario World 2: Yoshi's Island. Like the earlier redesign of the NES (model NES-101), the new model was slimmer and lighter than its predecessor, but it lacked S-Video and RGB output, and it was among the last major SNES-related releases in the region. A similarly redesigned Super Famicom Jr. was released in Japan at around the same time. Nintendo ceased production of the SNES in 1999, about two years after releasing Kirby's Dream Land 3 (its last first-party game for the system) on November 27, 1997, a year after releasing Frogger (its last third-party game for the system). In Japan, Nintendo continued production of both the Family Computer and the Super Famicom until September 25, 2003, and new games were produced until the year 2000, ending with the release of Metal Slader Glory Director's Cut on November 29, 2000. Many popular SNES games have since been ported to the Game Boy Advance, which has similar video capabilities. In 2005, Nintendo announced that SNES games would be made available for download via the Wii and Wii U's Virtual Console service. On October 31, 2007, Nintendo Co., Ltd. announced that it would no longer repair Family Computer or Super Famicom systems due to an increasing shortage of the necessary parts. On March 3, 2016, Nintendo Co., Ltd. announced that it would be bringing SNES games to the New Nintendo 3DS and New Nintendo 3DS XL (and later the New Nintendo 2DS XL) via its eShop download service. The 16-bit design of the SNES incorporates graphics and sound co-processors that perform tiling and simulated 3D effects, a palette of 32,768 colors, and 8-channel ADPCM audio. These base platform features, plus the ability to dramatically extend them all through substantial chip upgrades inside of each cartridge, represent a leap over the 8-bit NES generation and some supposed significant advantages over 16-bit competitors such as the Genesis. The CPU is a Ricoh 5A22, which is a modification of the WDC 65C816. It is a derivative of the 16-bit 65C816. In NTSC regions, its nominal clock speed is 3.58 MHz but the CPU will slow down to either 2.68 MHz or 1.79 MHz when accessing some slower peripherals. This CPU has an 8-bit data bus and two address buses. The 24-bit "Bus A" is used for general accesses, while the 8-bit "Bus B" is used to access support chip registers such as the video and audio co-processors. The WDC 65C816 also supports an 8-channel DMA unit; an 8-bit parallel I/O port a controller port interface circuits allowing serial and parallel access to controller data; a 16-bit multiplication and division unit; and circuitry for generating non-maskable interrupts on V-blank and IRQ interrupts on calculated screen positions. Early revisions of the 5A22 used in SHVC boards are prone to spontaneous failure; this can produce a variety of symptoms including graphics glitches during Mode 7 operation, a black screen on power-on, or inability to read the controllers properly. The first revision 5A22 also had a fatal bug in the DMA controller that could cause games to crash when running; this was corrected in subsequent revisions. The console contains 128 KB of general-purpose RAM, which is separate from the RAM dedicated to the video and audio subsystems. Mode 0: 4 layers, all using 4-color palettes. Each BG uses its own section of the SNES palette. Up to 96 colors can be displayed on the backgrounds, 24 colors per layer. Mode 1: 3 layers, two using 16-color palettes and one using 4-color palettes. Up to 120 colors can be displayed by first two layers and 24 colors by third layer. Mode 2: 2 layers, both using 16-color palettes. Each tile can be individually scrolled. Up to 120 colors can be displayed on screen. Mode 3: 2 layers, one using the full 256-color palette and one using 16-color palettes. The 256-color layer can also directly specify colors from an 11-bit (RGB443) colorspace. Up to 256 colors displayed by first layer and 120 colors by second layer. Mode 4: 2 layers, one using the full 256-color palette and one using 4-color palettes. The 256-color layer can directly specify colors, and each tile can be individually scrolled. Up to 256 colors displayed by first layer and 24 colors by second layer. Mode 5: 2 layers, one using 16-color palettes and one using 4-color palettes. Tile decoding is altered to facilitate use of the 512-width and interlaced resolutions. Up to 120 colors displayed by first layer and 24 colors by second layer. Mode 6: 1 layer, using 16-color palettes. Tile decoding is as in Mode 5, and each tile can be individually scrolled. Up to 120 colors can be displayed on screen. Mode 7: 1 layer of 128×128 tiles of size 8×8 from a set of 256, which may be interpreted as a 256-color one-plane layer or a 128-color two-plane layer. The layer may be rotated and scaled using matrix transformations. A programming technique called HDMA can be used to change the matrix parameters for each scanline in order to generate perspective effects. The audio subsystem, the S-SMP, is a dedicated single chip consisting of an 8-bit CPU, along with a 16-bit DSP, and 64 KB of SRAM. It is designed and produced by Sony and is completely independent from the rest of the system. It is clocked at a nominal 24.576 MHz in both NTSC and PAL systems. It is capable of producing stereo sound, composed from 8 voices generated using 16 bit audio samples and various effects such as reverberation. PAL consoles face another incompatibility when playing out-of-region cartridges: the NTSC video standard specifies video at 60 Hz while PAL operates at 50 Hz, resulting in approximately 16.7% slower framerate. Additionally, PAL's higher resolution results in letterboxing of the output image. Some commercial PAL region releases exhibit this same problem and, therefore, can be played in NTSC systems without issue, while other games will face a 20% speedup if played in an NTSC console. To mostly correct this issue, a switch can be added to place the SNES PPU into a 60 Hz mode supported by most newer PAL televisions. Later games will detect this setting and refuse to run, requiring the switch to be thrown only after the check completes. All versions of the Super NES are predominantly gray, of slightly different shades. The original North American version, designed by Nintendo of America industrial designer Lance Barr (who previously redesigned the Famicom to become the NES), has a boxy design with purple sliding switches and a dark gray eject lever. The loading bay surface is curved, both to invite interaction and to prevent food or drinks from being placed on the console and spilling as had happened with the flat surfaced NES. The Japanese and European versions are more rounded, with darker gray accents and buttons. The North American New-style Super NES (model SNS-101) and the Japanese Super Famicom Jr. (model SHVC-101), all designed by Barr, are both smaller with a rounded contour; however, the SNS-101 buttons are purple where the Super Famicom Jr. buttons are gray. The European and American versions of the SNES controllers have much longer cables compared to the Japanese Super Famicom controllers. The ABS plastic used in the casing of some older SNES and Super Famicom consoles is particularly susceptible to oxidization with exposure to air, likely due to an incorrect mixture of the stabilizing or flame retarding additives. This, along with the particularly light color of the original plastic, causes affected consoles to quickly become yellow; if the sections of the casing came from different batches of plastic, a "two-tone" effect results. The cartridge media of the console is officially referred to as Game Pak in most Western regions, and as Cassette (カセット, Kasetto) in Japan and parts of Latin America. While the SNES can address 128 Mbit,[h] only 117.75 Mbit are actually available for cartridge use. A fairly normal mapping could easily address up to 95 Mbit of ROM data (48 Mbit at FastROM speed) with 8 Mbit of battery-backed RAM. However, most available memory access controllers only support mappings of up to 32 Mbit. The largest games released (Tales of Phantasia and Star Ocean) contain 48 Mbit of ROM data, while the smallest games contain only 2 Mbit. The standard SNES controller adds X and Y face buttons to the design of the NES iteration, arranging the four in a diamond shape, and adds two shoulder buttons. It features an ergonomic design by Lance Barr, later used for the NES-102 model controllers, also designed by Barr. The Japanese and PAL region versions incorporate the colors of the four action buttons into the system's logo. The North American version's buttons are colored to match the redesigned console; the X and Y buttons are lavender with concave faces, and the A and B buttons are purple with convex faces. Several later consoles derive elements of their controller design from the SNES, including the PlayStation, Dreamcast, Xbox, and Wii Classic Controller. Throughout the course of its life, a number of peripherals were released which added to the functionality of the SNES. Many of these devices were modeled after earlier add-ons for the NES: the Super Scope is a light gun functionally similar to the NES Zapper (though the Super Scope features wireless capabilities) and the Super Advantage is an arcade-style joystick with adjustable turbo settings akin to the NES Advantage. Nintendo also released the SNES Mouse in conjunction with Mario Paint. Hudson Soft, under license from Nintendo, released the Super Multitap, a multiplayer adapter for use with its popular series of Bomberman games. Some of the more unusual controllers include the BatterUP baseball bat, the Life Fitness Entertainment System (an exercise bike controller with built-in monitoring software), and the TeeV Golf golf club. The Super Game Boy allows Game Boy games to be played on the SNES. 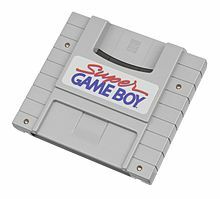 While Nintendo never released an adapter for playing NES games on the SNES, the Super Game Boy adapter cartridge allows games designed for Nintendo's portable Game Boy system to be played on the SNES. The Super Game Boy touts several feature enhancements over the Game Boy, including palette substitution, custom screen borders, and access to the SNES console's features by specially enhanced Game Boy games. Japan also saw the release of the Super Game Boy 2, which adds a communication port to enable a second Game Boy to connect for multiplayer games. Like the NES before it, the SNES has unlicensed third-party peripherals, including a new version of the Game Genie cheat cartridge designed for use with SNES games. Soon after the release of the SNES, companies began marketing backup devices such as the Super Wildcard, Super Pro Fighter Q, and Game Doctor. These devices create a backup of a cartridge. They can also be used to play illicit ROM images or to create copies of rented video games, violating copyright laws in many jurisdictions. Japan saw the release of the Satellaview, a modem which attaches to the Super Famicom's expansion port and connected to the St.GIGA satellite radio station from April 23, 1995 to June 30, 2000. Satellaview users could download gaming news and specially designed games, which were frequently either remakes of or sequels to older Famicom games, and released in installments. In the United States, the relatively short-lived XBAND allowed users to connect to a network via a dial-up modem to compete against other players around the country. During the SNES's life, Nintendo contracted with two different companies to develop a CD-ROM-based peripheral for the console to compete with Sega's CD-ROM based add-on, Sega CD. Although a SNES-CD prototype console was produced by Sony, Nintendo's deals with both Sony and Philips were canceled, with Philips gaining the right to release a series of games based on Nintendo franchises for its CD-i multimedia console and Sony going on to develop its own PlayStation console based on its initial dealings with Nintendo. As part of the overall plan for the SNES, rather than include an expensive CPU that would still become obsolete in a few years, the hardware designers made it easy to interface special coprocessor chips to the console, just like the MMC chips used for most NES games. This is most often characterized by 16 additional pins on the cartridge card edge. The Super FX is a RISC CPU designed to perform functions that the main CPU can not feasibly do. The chip is primarily used to create 3D game worlds made with polygons, texture mapping and light source shading. The chip can also be used to enhance 2D games. The Nintendo fixed-point digital signal processor (DSP) chip allowed for fast vector-based calculations, bitmap conversions, both 2D and 3D coordinate transformations, and other functions. Four revisions of the chip exist, each physically identical but with different microcode. The DSP-1 version, including the later 1A and 1B bug fix revisions, is used most often; the DSP-2, DSP-3, and DSP-4 are used in only one game each. In Japan, games could be downloaded cheaper than standard cartridges, from Nintendo Power kiosks onto special cartridges containing flash memory and a MegaChips MX15001TFC chip. The chip managed communication with the kiosks to download ROM images, and provided an initial menu to select which of the downloaded games would be played. Some were available both in cartridge and download form, while others were download only. The service closed on February 8, 2007. Many cartridges contain other enhancement chips, most of which were created for use by a single company in a few games; the only limitations are the speed of the SNES itself to transfer data from the chip and the current limit of the console. Like the NES before it, the SNES has retained a long-lived fan base. It has continued to thrive on the second-hand market, emulators, and remakes. The SNES has taken the same revival path as the NES. Emulation projects began with the initial release of VSMC in 1994, and Super Pasofami became the first working SNES emulator in 1996. During that time, two competing emulation projects—Snes96 and Snes97—merged to form Snes9x. In 1997, SNES enthusiasts began programming an emulator named ZSNES. In 2004, higan began development as bsnes, in an effort to emulate the system as closely as possible. Nintendo of America took the same stance against the distribution of SNES ROM image files and the use of emulators as it did with the NES, insisting that they represented flagrant software piracy. Proponents of SNES emulation cite discontinued production of the SNES constituting abandonware status, the right of the owner of the respective game to make a personal backup via devices such as the Retrode, space shifting for private use, the desire to develop homebrew games for the system (Nintendo designed a hobbyist development system for the Super NES, but never released it), the frailty of SNES ROM cartridges and consoles, and the lack of certain foreign imports. Emulation of the Super NES is also available on platforms such as Android, and iOS, the Nintendo DS line, the Gizmondo, the Dingoo and the GP2X by GamePark Holdings, as well as PDAs. While individual games have been included with emulators on some GameCube discs, Nintendo's Virtual Console service for the Wii marks the introduction of officially sanctioned general SNES emulation. A dedicated mini-console, the Super NES Classic Edition, was released in September 2017 after the NES Classic Edition. The emulation-based system, which is physically modeled after the North American and European versions of the SNES in their respective regions, is bundled with two SNES-style controllers and comes preloaded with 21 games, including the previously unreleased Star Fox 2. Approximately 49.1 million Super NES consoles were sold worldwide, with 23.35 million of those units sold in the Americas and 17.17 million in Japan. Although it could not quite repeat the success of the NES, which sold 61.91 million units worldwide, the SNES was the best-selling console of its era. In 2007, GameTrailers named the SNES as the second-best console of all time in their list of top ten consoles that "left their mark on the history of gaming", citing its graphics, sound, and library of top-quality games. In 2015, they also named it the best Nintendo console of all time, saying, "The list of games we love from this console completely annihilates any other roster from the Big N." Technology columnist Don Reisinger proclaimed "The SNES is the greatest console of all time" in January 2008, citing the quality of the games and the console's dramatic improvement over its predecessor; fellow technology columnist Will Greenwald replied with a more nuanced view, giving the SNES top marks with his heart, the NES with his head, and the PlayStation (for its controller) with his hands. GamingExcellence also gave the SNES first place in 2008, declaring it "simply the most timeless system ever created" with many games that stand the test of time and citing its innovation in controller design, graphics capabilities, and game storytelling. At the same time, GameDaily rated it fifth for its graphics, audio, controllers, and games. In 2009, IGN named the Super Nintendo Entertainment System the fourth best video game console, complimenting its audio and number of AAA games. ^ a b According to Stephen Kent's The Ultimate History of Video Games, the official launch date was September 9. Newspaper and magazine articles from late 1991 report that the first shipments were in stores in some regions on August 23, while it arrived in other regions at a later date. Many modern online sources (circa 2005 and later) report August 13. ^ The acronym SNES can be pronounced by English speakers as a single word (compare "NATO") with various pronunciations, a string of letters (compare "IBM"), or as a hybrid (compare "JPEG"). In written English, the choice of indefinite article can be problematic due to these differences in pronunciation. ^ The abbreviation "Super NES" is printed in a label on the bottom of the console as the "Super NES Control Deck" and is commonly used in various Nintendo peripherals and literature related to the platform. ^ While the use of "Super Nintendo" is common in colloquial speech and is officially called so by Nintendo of Europe, Nintendo of America's official guidelines discourage it, preferring instead the abbreviations of "Super NES" or "SNES" in a formal context. ^ While some contend that Nintendo orchestrated the Congressional hearings of 1993, Senator Lieberman and NOA's Senior Vice President (later Chairman) Howard Lincoln both refute these allegations. ^ Unless otherwise specified, kilobyte (kB), megabyte (MB), and megabit (Mbit) are used in the binary sense in this article, referring to quantities of 1024 or 1,048,576. ^ "Retro Diary: 08 November – 05 December". Retro Gamer. No. 122. Imagine Publishing. 13 December 2013. p. 11. ^ "History | Corporate". Nintendo. Retrieved February 24, 2013. ^ "Nintendo chega hoje ao mercado". O Estado de S. Paulo. August 30, 1993. Retrieved May 6, 2018. ^ a b c d "Consolidated Sales Transition by Region" (PDF). Nintendo Co., Ltd. Archived (PDF) from the original on June 13, 2018. Retrieved October 25, 2017. ^ a b Don Reisinger (January 21, 2009). "Does the Xbox 360's 'Lack of Longevity' Matter?". CNET. Retrieved October 23, 2015. ^ a b Niizumi, Hirohiko (May 30, 2003). "Nintendo to end Famicom and Super Famicom production". GameSpot. Archived from the original on January 22, 2012. Retrieved July 15, 2007. ^ "The Nintendo Years: 1990". June 25, 2007. p. 2. Archived from the original on August 20, 2012. Retrieved June 27, 2007. ^ Kent (2001), p. 497. "By the end of the 16-bit generation, Nintendo would go on to sell 9 million copies of Donkey Kong Country"
^ "IGN's Top 100 Games of All Time 2007". IGN. 2007. Archived from the original on April 28, 2012. Retrieved January 2, 2009. ^ "Platinum Titles". Capcom. Archived from the original on July 4, 2011. Retrieved August 21, 2010. ^ "Pronouncing NES & SNES". GameSpot forums. Archived from the original on February 14, 2012. Retrieved May 16, 2007. ^ Nintendo of Europe. "Super Nintendo". nintendo.co.uk. Retrieved March 3, 2019. ^ "SNES Development Manual" (PDF). ^ Coelho, Victor (2014-11-24). "Super Nintendo completa 24 anos" [Super Nintendo turned 24 years old] (in Portuguese). Exame. ^ Sheff (1993), pp. 353–356. "The Genesis continued to flounder through its first couple of years on the market, although Sega showed Sisyphean resolve.... [By mid-1991] Sega had established itself as the market leader of the next generation." ^ Kent (2001), pp. 413–414. ^ Kent (2001), pp. 422–431. ^ Sheff (1993), pp. 360–361. ^ Kent (2001), pp. 431–433. "Japan remained loyal to Nintendo, ignoring both Sega's Genesis and NEC's PC Engine (the Japanese name for TurboGrafx).... Unlike the Japanese launch in which Super Famicom had outsold both competitors combined in presales alone, SNES would debut against an established product." ^ Kristan Reed (January 19, 2007). "Virtual Console: SNES". Eurogamer. Retrieved February 12, 2009. ^ Kent (2001), p. 432. Kent states September 1 was planned but later rescheduled to September 9. ^ Campbell, Ron (August 27, 1991). "Super Nintendo sells quickly at OC outlets". The Orange County Register. Last weekend, months after video-game addicts started calling, Dave Adams finally was able to sell them what they craved: Super Nintendo. Adams, the manager of Babbages in South Coast Plaza, got 32 of the $199.95 systems Friday. Based on the publication date, the "Friday" mentioned would be August 23, 1991. ^ "Super Nintendo It's Here!!!". Electronic Gaming Monthly. Sendai Publishing Group (28): 162. November 1991. The Long awaited SNES is finally available to the U.S. gaming public. The first few pieces of this fantastic unit hit the store shelves on August 23, 1991. Nintendo, however, released the first production run without any heavy fanfare or spectacular announcements. ^ "New products put more zip into the video-game market". Chicago Sun-Times. August 27, 1991. Archived from the original (abstract) on November 3, 2012. Retrieved March 5, 2010. On Friday, area Toys R Us stores […] were expecting SNES, with a suggested retail price of $199.95, any day, said Brad Grafton, assistant inventory control manager for Toys R Us. Based on the publication date, the "Friday" mentioned would be August 23, 1991. ^ Ray Barnholt (August 4, 2006). "Purple Reign: 15 Years of the SNES". 1UP.com. p. 2. Archived from the original on October 17, 2012. Retrieved June 14, 2007. ^ Campbell, Ron (August 27, 1991). "Super Nintendo sells quickly at OC outlets". The Orange County Register. Super Nintendo began showing up in Southern California stores Wednesday, nearly three weeks before the official Sept. 9 release date. ... Until the official nationwide release Sept. 9, availability will be limited. ^ "COMPANY NEWS; Super Nintendo Now Nationwide". New York Times. September 10, 1991. Retrieved August 23, 2016. ^ "Playtronic SNES Games". SNES Central. ^ "Nintendo Brasil" (in Portuguese). Nintendo. Archived from the original on July 17, 2007. Retrieved August 2, 2007. ^ Sheff (1993), p. 361. ^ "Big in Japan: Nintendo 64 Launches at Last". Next Generation. No. 21. Imagine Media. September 1996. pp. 14–16. ^ Jeremy Parish (November 14, 2006). "Out to Launch: Wii". 1UP.com. Archived from the original on February 14, 2012. Retrieved July 3, 2007. ^ Kent (2001), p. 431. "Sonic was an immediate hit, and many consumers who had been loyally waiting for SNES to arrive now decided to purchase Genesis.... The fiercest competition in the history of video games was about to begin." ^ Kent (2001), pp. 448–449. ^ Kent (2001), p. 433. ^ Pete Hisey (June 1, 1992). "16-bit games take a bite out of sales — computer games". Discount Store News. ^ Kent (2001), p. 496-497. "The late November release of Donkey Kong Country stood in stark contrast to the gloom and doom faced by the rest of the video game industry. After three holiday seasons of coming in second to Sega, Nintendo had the biggest game of the year. Sega still outperformed Nintendo in overall holiday sales, but the 500,000 copies of Donkey Kong Country that Nintendo sent out in its initial shipment were mostly sold in preorder, and the rest sold out in less than one week. It (Donkey Kong Country) established the SNES as the better 16-bit console and paved the way for Nintendo to win the waning years of the 16-bit generation." ^ "Game-System Sales". Newsweek. January 14, 1996. Archived from the original on May 13, 2013. Retrieved January 21, 2012. ^ "Sega farms out Genesis". Television Digest. March 2, 1998. ^ Danny Allen (December 22, 2006). "A Brief History of Game Consoles, as Seen in Old TV Ads". PC World. Archived from the original on February 15, 2010. Retrieved July 15, 2007. ^ "Classic Systems: SNES". Nintendo. Archived from the original on December 9, 2003. Retrieved January 21, 2012. ^ Pachter, Michael; McKay, Nick; Citrin, Nick (February 11, 2014). "Post Hoc Ergo Propter Hoc; Why the Next Generation Will Be as Big as Ever". Wedbush Equity Research. p. 36. Retrieved November 9, 2015. ^ Kent (2001), pp. 308, 372, 440–441. ^ Reeder, Sara (November 1992). "Why Edutainment Doesn't Make It In A Videogame World". Computer Gaming World. p. 128. ^ a b Ray Barnholt (August 4, 2006). "Purple Reign: 15 Years of the SNES". 1UP.com. p. 4. Archived from the original on November 2, 2012. Retrieved July 13, 2007. ^ a b c d Kent (2001), pp. 461–480. "nearly three to one". ^ Kent (2001), pp. 491–493, 496–497. ^ Doug Trueman. "GameSpot Presents: The History of Donkey Kong". GameSpot. p. 4. Archived from the original on May 15, 2012. Retrieved July 13, 2007. ^ "Nintendo Boosts N64 Production". Electronic Gaming Monthly. No. 93. Ziff Davis. April 1997. p. 22. ^ Chris Johnston (October 29, 1997). "Super NES Lives!". GameSpot. Archived from the original on January 24, 2012. Retrieved June 14, 2007. ^ Yutaka Ohbuchi (January 16, 1998). "Super Fami Gets Face-Lift". GameSpot. Archived from the original on January 18, 2012. Retrieved June 14, 2007. ^ "スーパーファミコン (Super Famicom)" (in Japanese). Nintendo Japan. Retrieved May 19, 2007. ^ "E3 2005: Nintendo's E3 2005 Press Conference". IGN. May 17, 2005. Retrieved April 14, 2007. ^ "Nintendo's classic Famicom faces end of road". AFP. October 31, 2007. Archived from the original (Reprint) on May 27, 2013. Retrieved November 9, 2007. ^ Gwaltney, Javy. "Super Nintendo Games Are Coming To New Nintendo 3DS". Game Informer. Game Informer. Retrieved 21 January 2019. ^ a b "Fullsnes – Nocash SNES Specs". Retrieved February 6, 2015. ^ Jeremy Parish (September 6, 2005). "PS1 10th Anniversary retrospective". 1UP.com. Archived from the original on May 23, 2011. Retrieved May 27, 2007. ^ a b Nintendo. "SNES Development Manual - Book I, Section 4 "Super NES CPU Data"". Nintendo. ^ Hayward, Andrew (March 12, 2017). "The Nintendo PlayStation is the coolest console never released". TechRadar. Future plc. Retrieved September 12, 2018. Nintendo and Sony first linked up for the Super Nintendo itself, as Sony produced the S-SMP sound chip for the iconic 16-bit console. ^ Nintendo. "SNES Development Manual - Section 3, Super NES Sound". Nintendo. ^ a b Nintendo Life. "Soapbox: Why Region Locking Is A Total Non-Issue". Nintendo Life. ^ "The Ultimate Retro Console Collectors' Guide". Eurogamer.net. May 6, 2012. ^ Mark Knibbs (December 27, 1997). "Disabling the SNES/Super Famicom "Lockout Chip"". Archived from the original on January 21, 2003. Retrieved April 14, 2007. ^ Mark Knibbs (January 25, 1998). "Super NES/Super Famicom 50/60 Hz Switch Modification". Archived from the original on May 2, 2001. Retrieved April 14, 2007. ^ a b c "Super Nintendo Entertainment System". Nintendo Power. Redmond, Washington: Nintendo of America. 25: 45–46. June 1991. ^ a b Chad Margetts & M. Noah Ward (May 31, 2005). "Lance Barr Interview". Nintendojo. Retrieved March 2, 2013. ^ "- Nintendo – Customer Service – Super Nintendo – AV to TV". nintendo.com. ^ "- Nintendo – Customer Service – New-Style Super NES RF to TV Hookup". nintendo.com. ^ "Nintendo Support: Original-Style Super NES RF to TV Hookup". Nintendo. Retrieved February 28, 2010. ^ "Nintendo Support: New-Style Super NES RF to TV Hookup". Nintendo. Retrieved June 30, 2010. ^ Edwards, Benj (January 12, 2007). 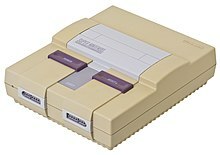 "Why Super Nintendos Lose Their Color: Plastic Discoloration in Classic Machines". Vintagecomputing.com. Retrieved August 19, 2009. ^ "Game Pak Troubleshooting". Customer Service. Nintendo of America, Inc. Retrieved August 23, 2010. ^ ゼルダの伝説 神々のトライフォース 取扱説明書. Nintendo Co., Ltd. November 21, 1991. p. 1. ^ Ogasawara, Nob (November 1995). "Future Fantasies from overseas". GamePro. San Mateo, CA: Infotainment World. 7 (11): 126. ISSN 1042-8658. ^ "Star Ocean". Nintendo Power. Redmond, WA: Nintendo of America (86): 60–61. July 1996. ISSN 1041-9551. ^ a b "Top 25 Videogame Consoles of All Time". IGN. September 4, 2009. Archived from the original on February 15, 2010. Retrieved October 24, 2010. ^ Sud Koushik (January 30, 2006). "Evolution of Controllers". Advanced Media Network. Archived from the original on February 7, 2009. Retrieved May 25, 2007. ^ Chris Kohler (September 13, 2005). "Controller's History Dynamite". 1UP.com. p. 4. Archived from the original on September 29, 2012. Retrieved May 25, 2007. ^ "Use Your Super Nintendo to Play Your Way to Perfect Health". Electronic Gaming Monthly. Ziff Davis (67): 54. February 1995. ^ Super Nintendo ( SNES ) Controller – TeeV Golf by Sports Sciences. YouTube. August 22, 2015. ^ Eric Levenson. "Feature: Remembering the Super Game Boy". theatlantic.com. ^ "SNES Backup Units". RED #9. Archived from the original on June 26, 2007. Retrieved September 17, 2007. ^ Bivens, Danny (October 27, 2011). "Nintendo's Expansion Ports Satellaview". Retrieved January 22, 2016. ^ Edge staff (April 24, 2009). "The Making Of: PlayStation". Edge. Future Publishing. Archived from the original on May 16, 2012. Retrieved March 7, 2012. ^ IGN staff (August 27, 1998). "History of the PlayStation". IGN. Retrieved March 8, 2012. ^ "SNES Development--Schematics, Ports, and Pinouts" Archived May 4, 2015, at the Wayback Machine "Many carts connect only to pins 5-27 and 36-58, as the remaining pins are mainly useful only if the cart contains special chips." ^ a b c (2007-05-01) Snes9x readme.txt v1.51. Snes9x. Snes9x. Retrieved on July 3, 2007. ^ Overload (May 29, 2006). "Digital Signal Processing". Overload's Puzzle Sheet. Archived from the original on March 11, 2007. Retrieved May 9, 2007. Refer to the command summaries for all four DSP versions. ^ a b Nach; Moe, Lord Nightmare. "SNES Add-on Chip information". Archived from the original on July 8, 2007. Retrieved May 9, 2007. ^ Robinson, Andy (February 8, 2007). "Nintendo Closes Nintendo Power". Computer and Video Games. Archived from the original on May 9, 2013. Retrieved May 9, 2015. ^ "I Am Error". google.com. ^ "ZSNES v1.51 Documentation". ZSNES. ZSNES. Retrieved July 16, 2007. ^ "Legal Information (Copyrights, Emulators, ROMs, etc.)". Nintendo of America. Retrieved June 14, 2007. ^ "What Does This... Have to Do with This?". Electronic Gaming Monthly. No. 94. Ziff Davis. May 1997. p. 22. ^ Head, Chris (August 12, 2010). "Android: A Gamer's Guide". PCWorld. Retrieved August 22, 2010. ^ Sorrel, Charlie (January 23, 2008). "SNES Emulator for iPhone". Wired. Retrieved August 22, 2010. ^ Sorrel, Charlie (June 9, 2010). "Video: SNES for iPad, Controlled by iPhone". Wired. Retrieved August 22, 2010. ^ "Gizmondo Section – Snes". Alternative Handheld Emulation. DCEmu. Retrieved September 9, 2007. Emulators listed include GizSnes. ^ "Emulators for GP2x – Super Nintendo". GP2x News. DCEmu. Retrieved September 9, 2007. Emulators listed include PocketSnes, SnesGP2X, SquidgeSnes, and SquidgeSnes Hack. ^ Werner Ruotsalainen (May 10, 2007). "The definitive guide to playing SNES games on Windows Mobile (and Symbian)". Expert Blogs. Smartphone & Pocket PC Magazine. Archived from the original on February 14, 2012. Retrieved February 12, 2009. Emulators listed include MorphGear, Snes9xJ4u, Snes9xPPC, and many forks of PocketSNES. ^ "Nintendo Announces SNES Mini, and it'll Include Star Fox 2". Kotaku UK. ^ Top Ten Consoles (Flash video). GameTrailers. April 19, 2007. Event occurs at 9:00. Retrieved September 14, 2017. ^ Top Ten Nintendo Systems (Flash video). Gametrailers. March 28, 2015. Event occurs at 10:48. Retrieved March 29, 2015. ^ Reisinger, Don (January 25, 2008). "The SNES is the greatest console of all time". CNET Blog Network. Retrieved October 24, 2010. ^ Greenwald, Will (January 28, 2008). "The greatest game console of all time?". CNET Blog Network. Retrieved October 24, 2010. ^ Sztein, Andrew (March 28, 2008). "The Top Ten Consoles of All Time". GamingExcellence. Retrieved October 24, 2010. ^ Buffa, Chris (March 5, 2008). "Top 10 Greatest Consoles". GameDaily. Archived from the original on March 9, 2008. Retrieved October 24, 2010.